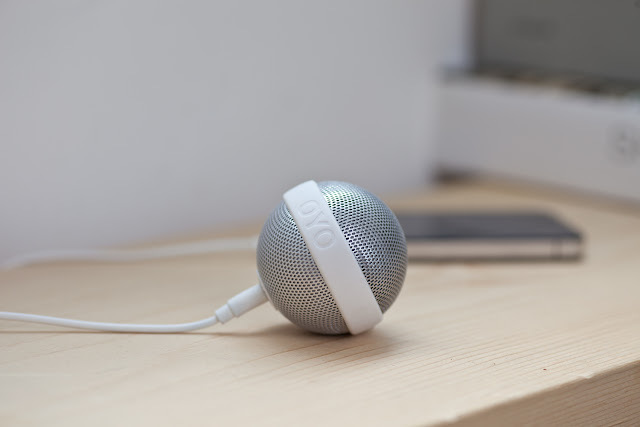 Swiss design studio Bernhard Burkard has designed a portable, battery-powered speaker for Japanese brand OYO (Objects You Obsess) that rolls or hangs to create a 360 degree music experience. 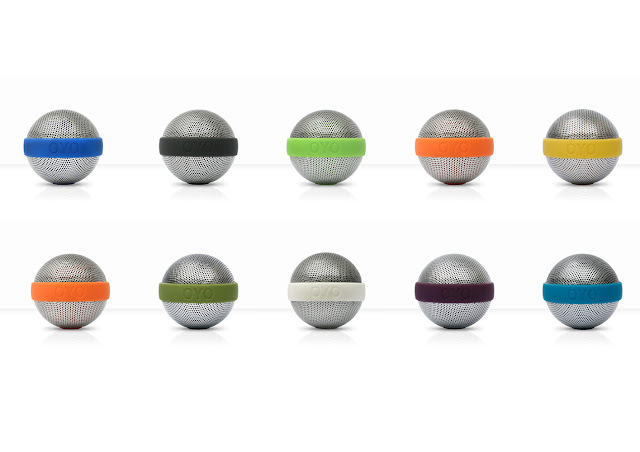 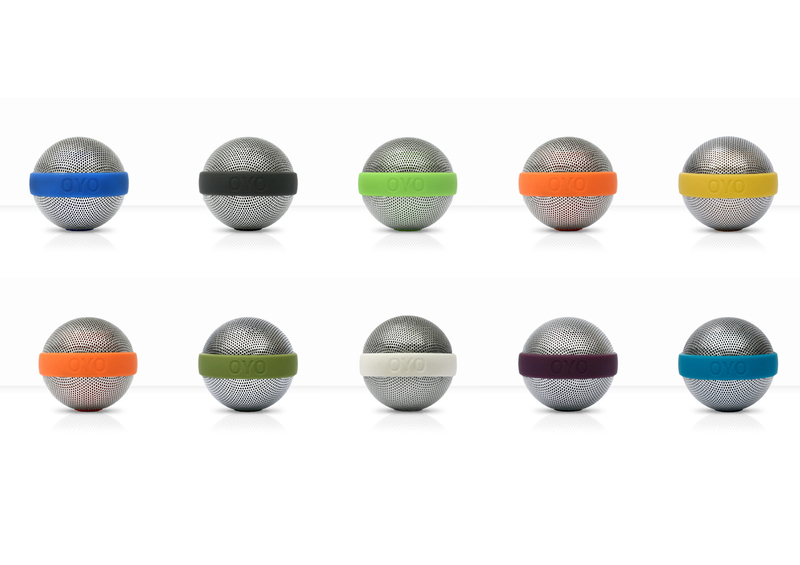 Called Ballo, the minimalistic object features a central band in a range of 10 different colours. 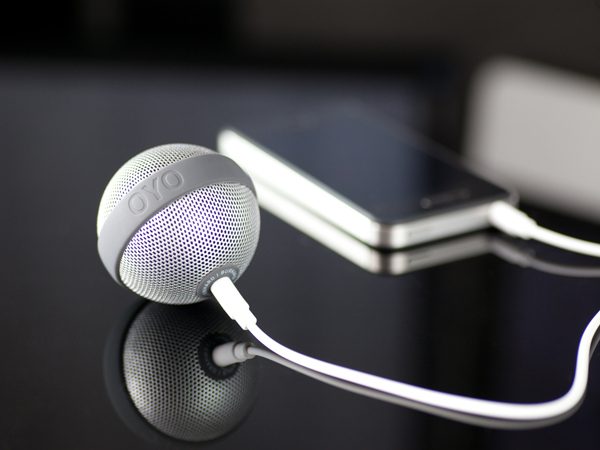 The 3.5mm jack plugs into most headphone devices and can be paired with another speaker using a stereo-wire.